Although not as flashy as the T-65 X-wing, the BTL-A4 Y-wing is a reliable workhorse of the Rebellion, offering durability, dependability, and a flexible payload. 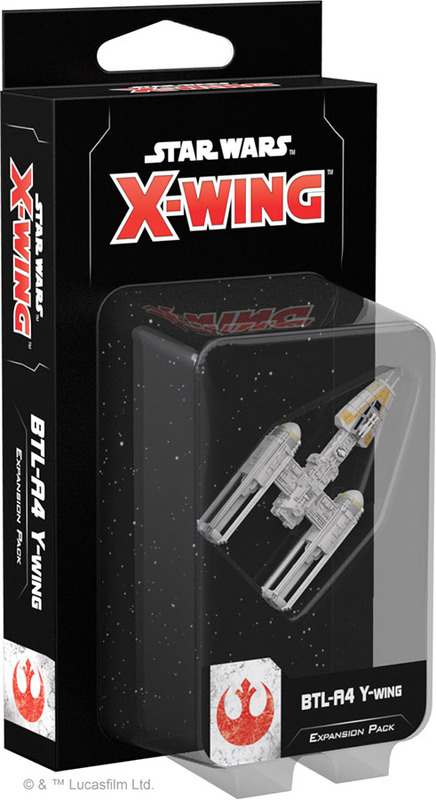 The BTL-A4 Y-Wing Expansion Pack allows you to bring one of these heavy fighters to your X-Wing Second Edition squadrons. With a beautifully detailed and pre-painted miniature, six ship cards, and six upgrades ranging from bombs to turrets, this expansion gives you the freedom to outfit your Y-wing to match your personal playstyle. Additionally, two Quick Build cards offer predetermined customization options, allowing you to get your Y-wing into the fight faster than ever..